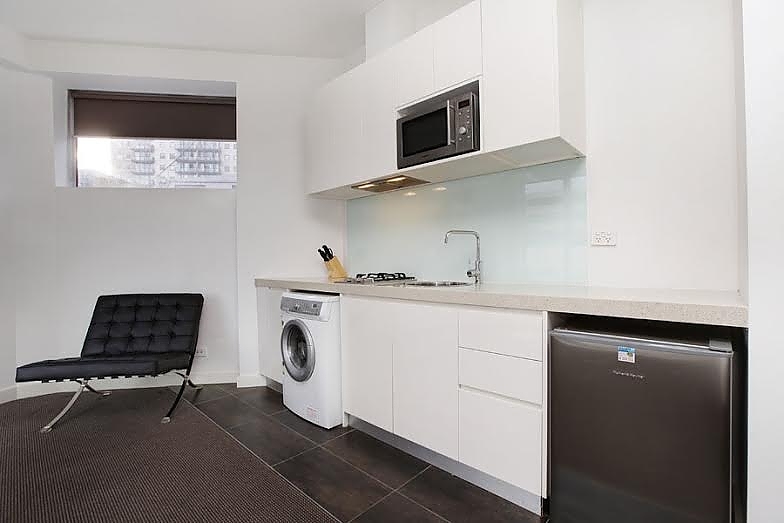 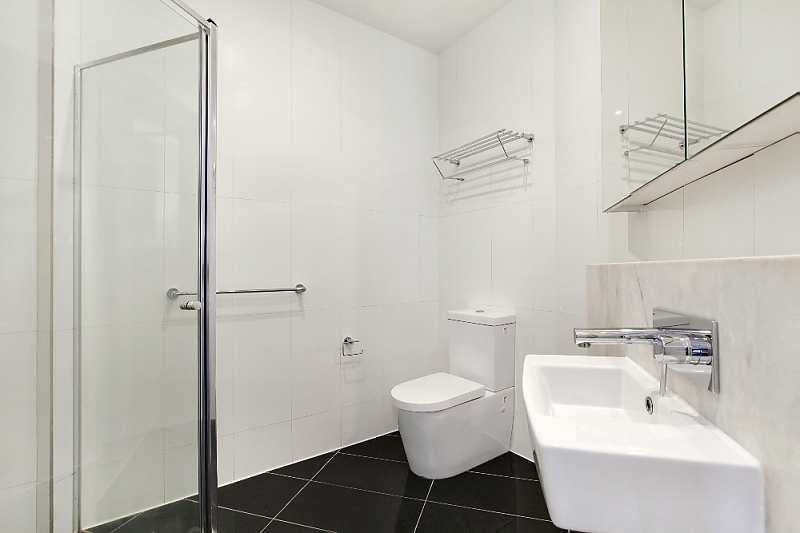 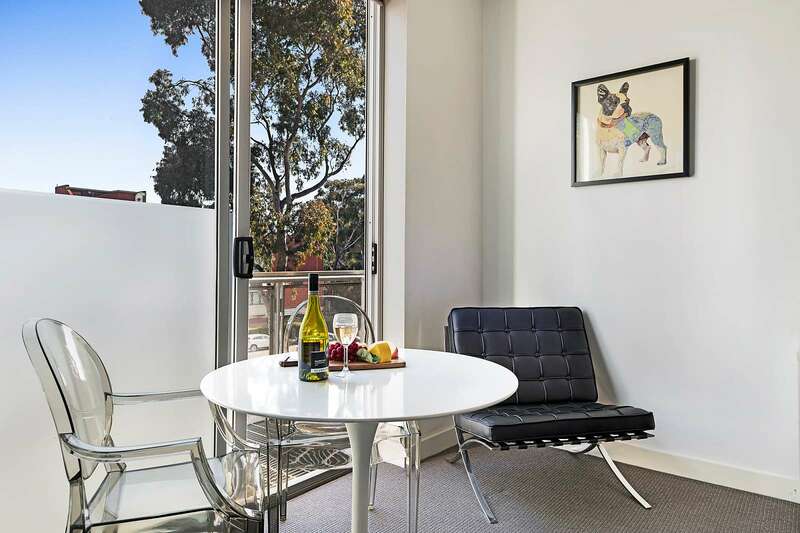 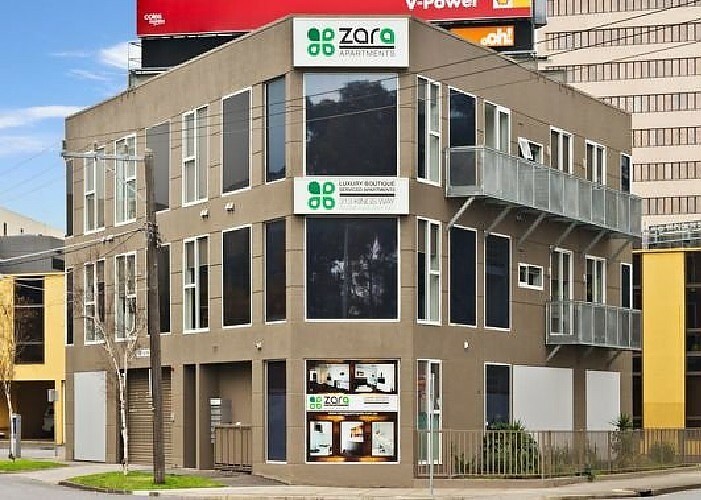 Plentiful storage, a galley-style kitchen and premium bathroom make for convenient urban living in this security studio apartment, set in the heart of inner city South Melbourne and within easy reach of all major CBD amenities. 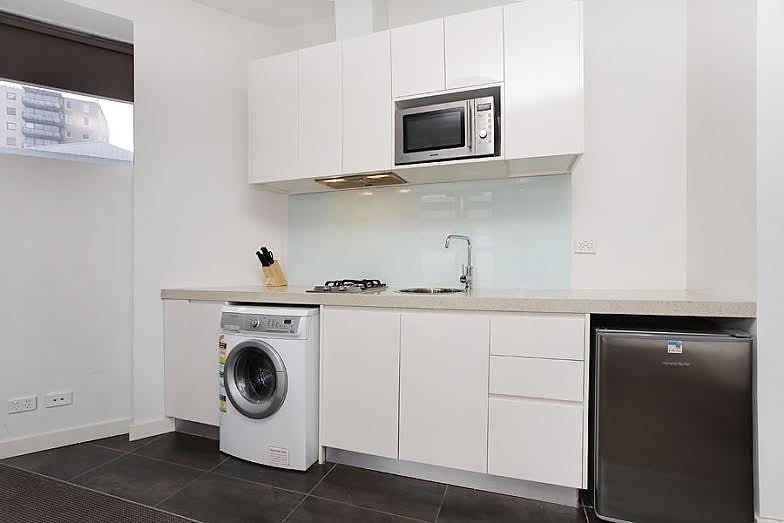 A queen-size bed joins a large built-in robe and additional storeroom, plus a galley-style kitchen with gas cooking, microwave, thick stone bench tops and washer/dryer. 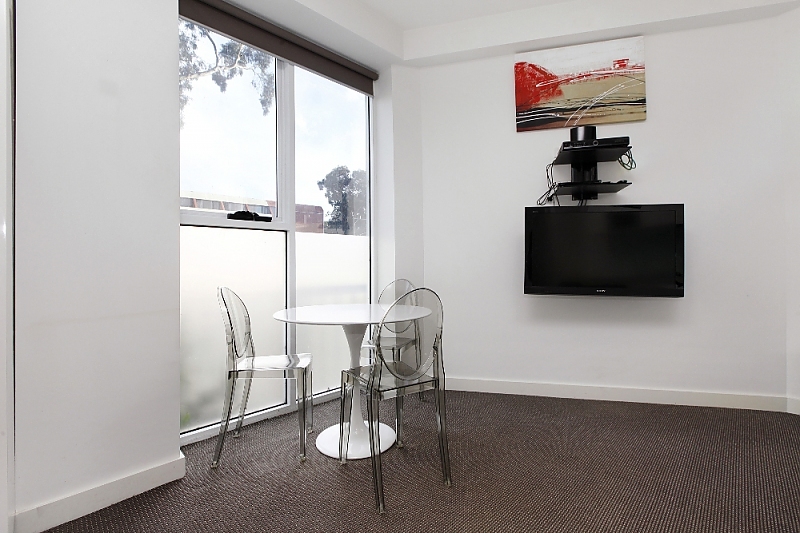 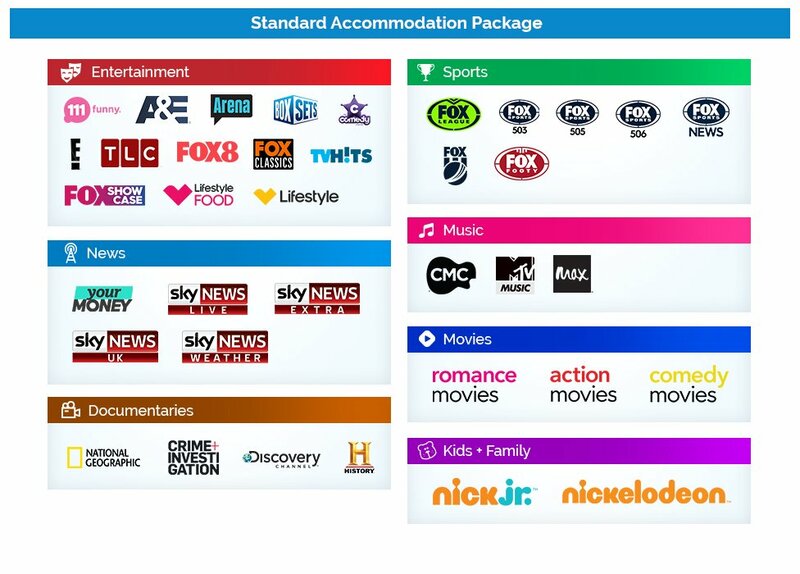 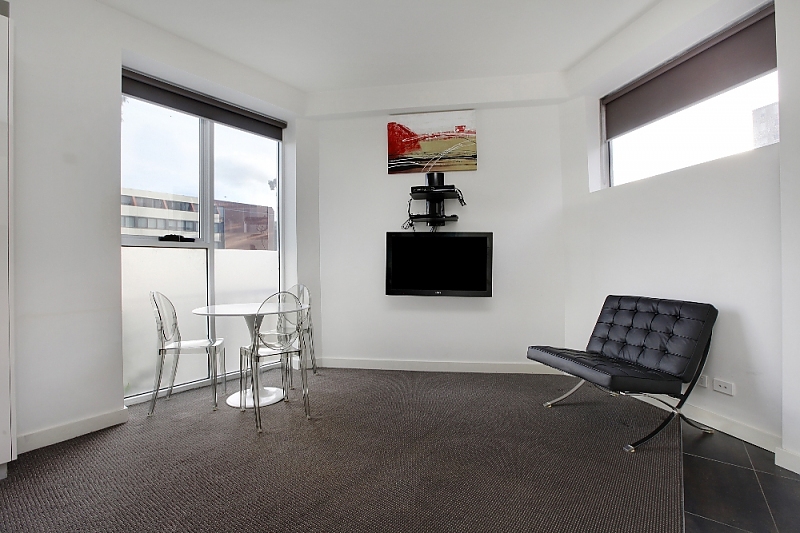 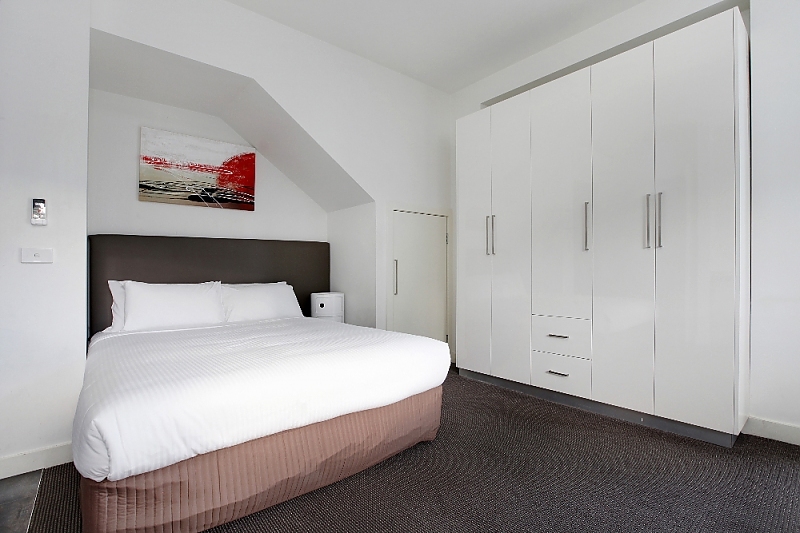 A wall-mounted 40-inch LCD TV with Foxtel and DVD player, plus an iPod docking station takes care of your entertainment needs, and the premium bathroom features floor-to-ceiling tiles and a marble feature vanity. 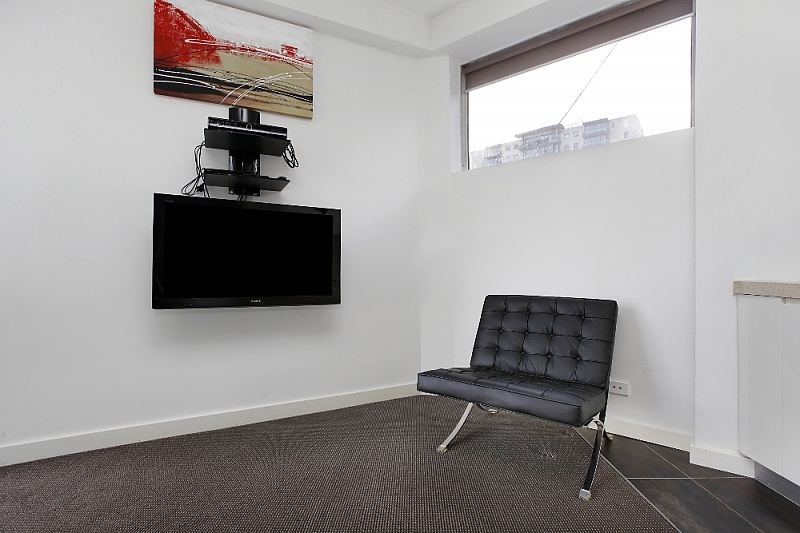 The apartment is carpeted and air conditioned for your comfort, and an onsite building manager ensures your peace of mind.